A city has a spirit and each day is an opportunity to experience something new. Welcome to Capitol View Nashville, where the energy and vibrancy of Nashville meet. 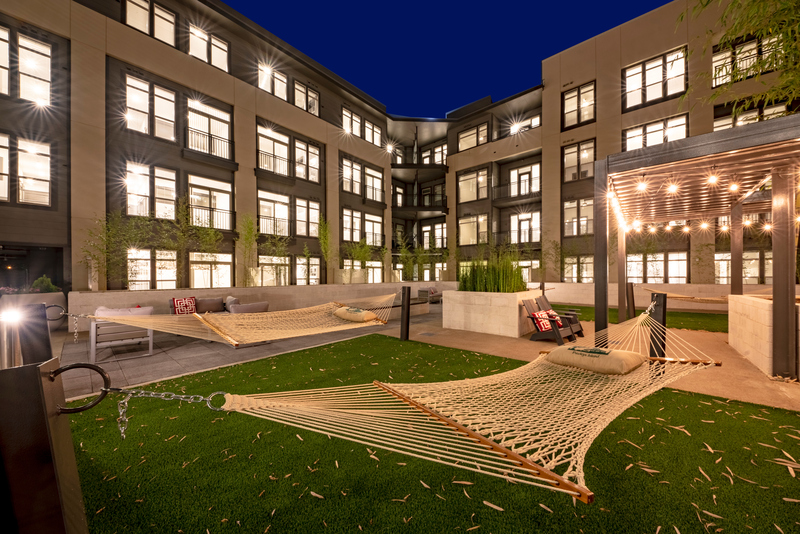 Located in the North Gulch district, Capitol View offers residents studio, one-, two-, and three-bedroom apartments overlooking Charlotte Avenue and 11th Avenue North in the heart of Nashville. Situated over 130,000 square feet of upscale dining, shopping and entertainment, convenience and comfort has never looked better. Step into the expansive resident clubroom to experience one-of-a-kind amenities such as a music room, full-sized golf simulator and lounge, massage room, spa, sauna and resistance pool and private wine cellar. An elevated saltwater pool overlooking the city, along with a landscaped tiered courtyard are the perfect places to soak it all in. The 24-7 fitness club and private yoga and stretching room mean you don’t have to leave home to get a great workout in. Your apartment home comes fully equipped with built-in kitchen islands, stainless steel appliances, wine storage and custom cabinetry with open shelving. Upscale details like Misterio quartz countertops, farmhouse style sinks, rain showerheads, subway tile backsplashes and broadloom carpet were designed with you in mind. Floor to ceiling windows, bay windows and private balconies welcome the buzz of the city while oversized glass-enclosed showers, Roman soaking tubs, LED lights with built-in dimmers and ceiling fans in each bedroom to welcome another level of relaxation. Your point of view is both defined and ever-changing. This isn’t just a place; it’s a way to live. Live your point of view at Capitol View Nashville, a Northwood Ravin signature community.